MoreWhen someone else causes serious losses, it is imperative to hold them accountable. At Zervos & Calta Injury Law in St. Petersburg, Florida, we have spent decades advocating for personal injury victims in both the courtroom and through settlement discussions. The attorneys at our law firm have held insurance companies, medical providers and individuals accountable for the damages they have caused our clients to suffer. In fact, we have obtained millions of dollars on behalf of the people we...When someone else causes serious losses, it is imperative to hold them accountable. At Zervos & Calta Injury Law in St. Petersburg, Florida, we have spent decades advocating for personal injury victims in both the courtroom and through settlement discussions. The attorneys at our law firm have held insurance companies, medical providers and individuals accountable for the damages they have caused our clients to suffer. In fact, we have obtained millions of dollars on behalf of the people we represent. The cases we handle at our law firm are inherently personal, which is why we commit our undivided attention to every case. Our only focus is personal injury. Therefore, we are able to put every resource we have into examining a car accident, defective product, slip-and-fall or wrongful death claim. 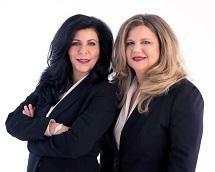 On staff at our law firm are a former public defender and a former assistant district attorney. In other words, we are fearsome adversaries in the courtroom. In the past, we have had clients come to us with low settlement offers. When insurance companies discover we are on the case, they immediately upped that number. Zervos & Calta Injury Law takes cases throughout the Tampa area.